2. 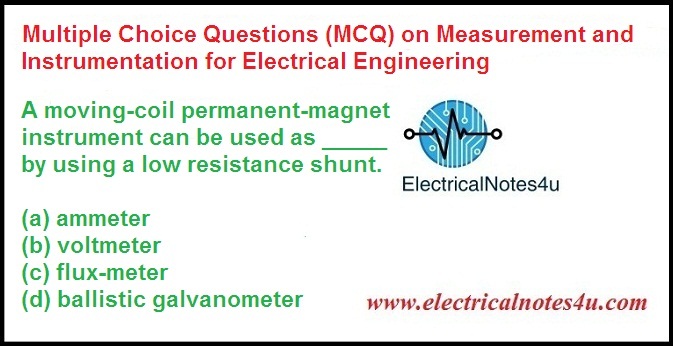 Which of the following instruments indicate the instantaneous value of the electrical quantity being measured at the time at which it is being measured? 3. A moving-coil permanent-magnet instrument can be used as _____ by using a low resistance shunt. 4. Which of the following devices may be used for extending the range of instruments? 17. Which of the following devices should be used for accurate measurement of low D.C.voltage?